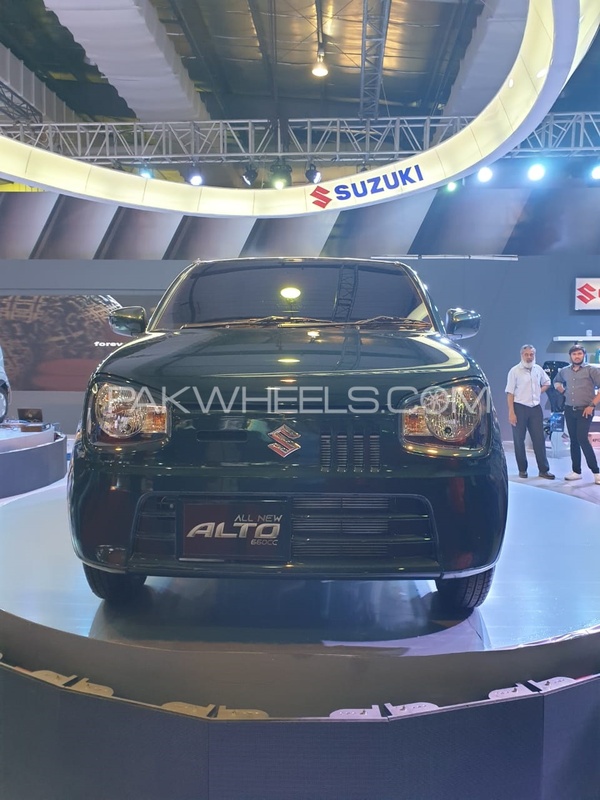 Pak Suzuki has unveiled Pakistan’s first locally-manufactured 660cc engine displacement car at the Pakistan Auto Parts Show (PAPS) 2019 organized by PAAPAM. 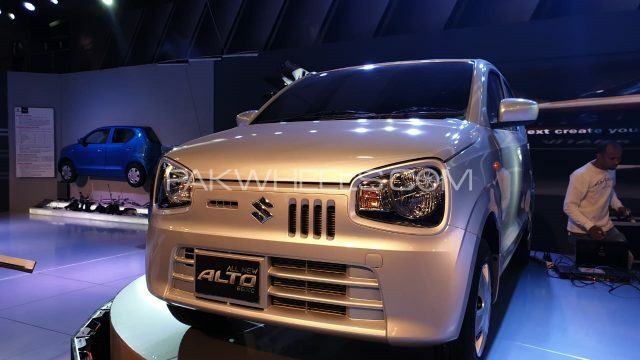 Suzuki Alto 660cc is expected to be launched in June but we have come across its first look. 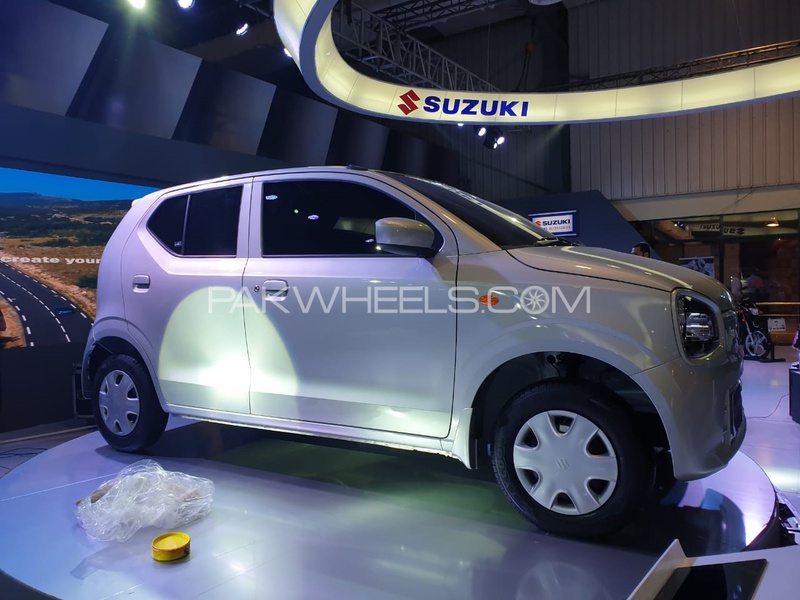 Pak Suzuki has called it the “biggest reveal of 2019” and invited everyone to join them at the event. 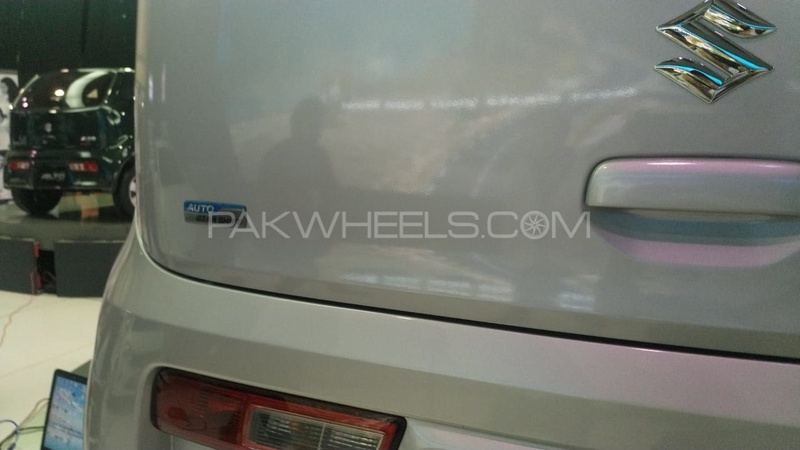 Pak Suzuki claims it is providing a fuel efficient and spacious car with modern design. 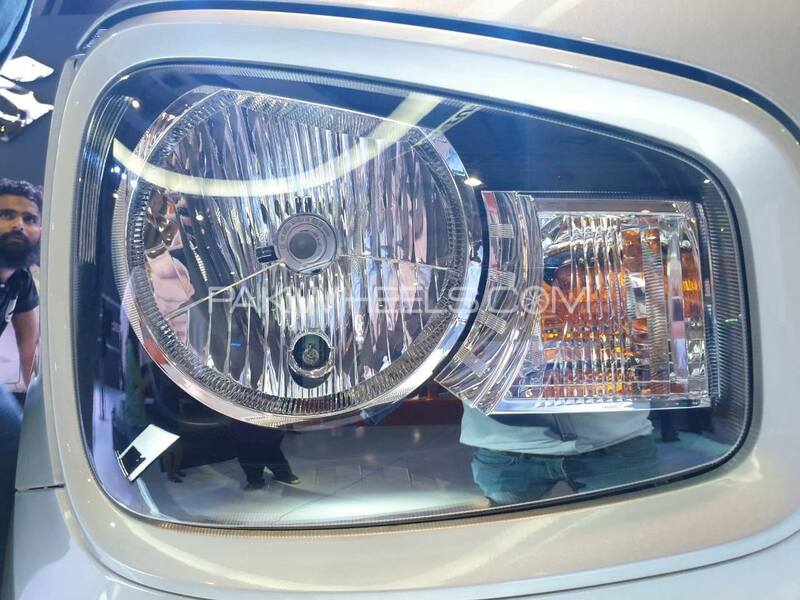 The company is offering a 3-year or 60,000km warranty. There is a priority delivery for first 3,000 customers with an incentive of introductory price till 14th June, 2019. 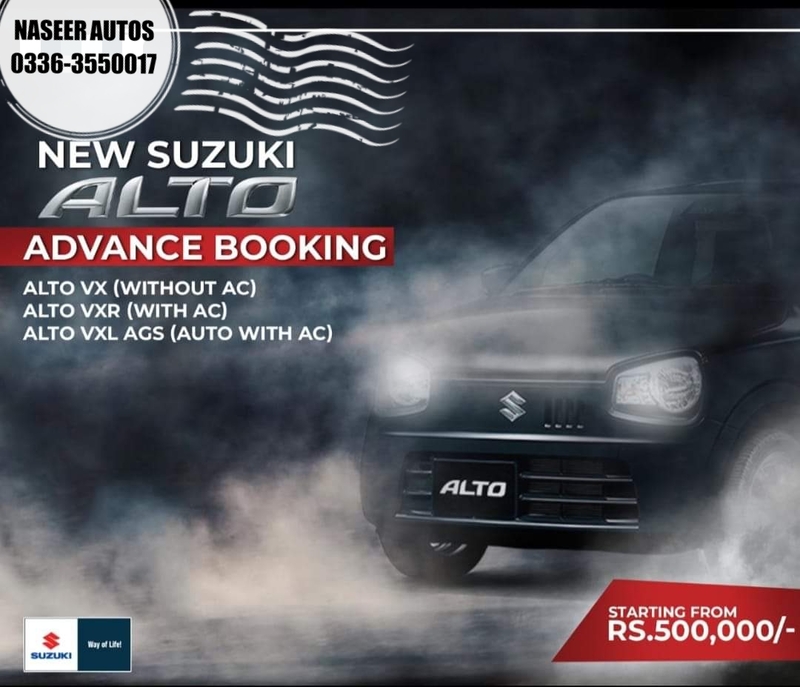 The booking of these Suzuki 660cc Alto 2019 variants has opened at PKR 5 lac. 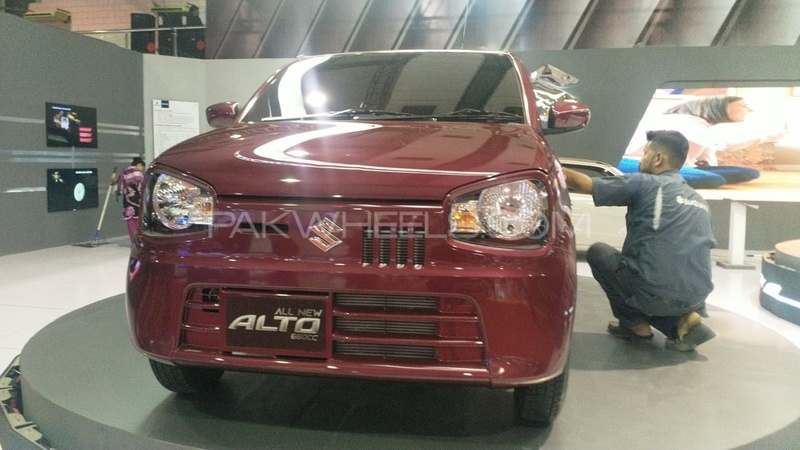 We had earlier reported that Pak Suzuki has started the production of its 660cc Alto in Pakistan. 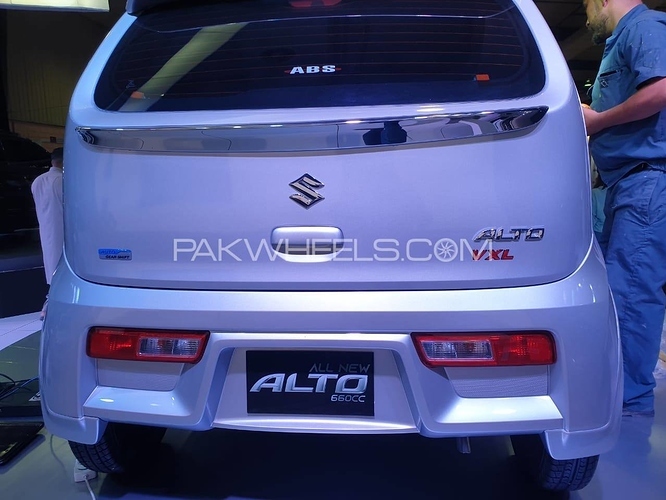 The company had phased out its iconic 800cc hatchback Mehran – company’s top-selling vehicle, after 30 years and is bringing Suzuki Alto 660cc for its consumers. The Suzuki Alto is currently in its 8th generation, and we will be getting the same 8th gen shape in Pakistan as well, but the features may vary, and we might not get the same features available in the JDM Alto which people are already importing into the country. Pak Suzuki might call it 2nd gen Suzuki Alto, since there already was 1000cc Alto back in the day. 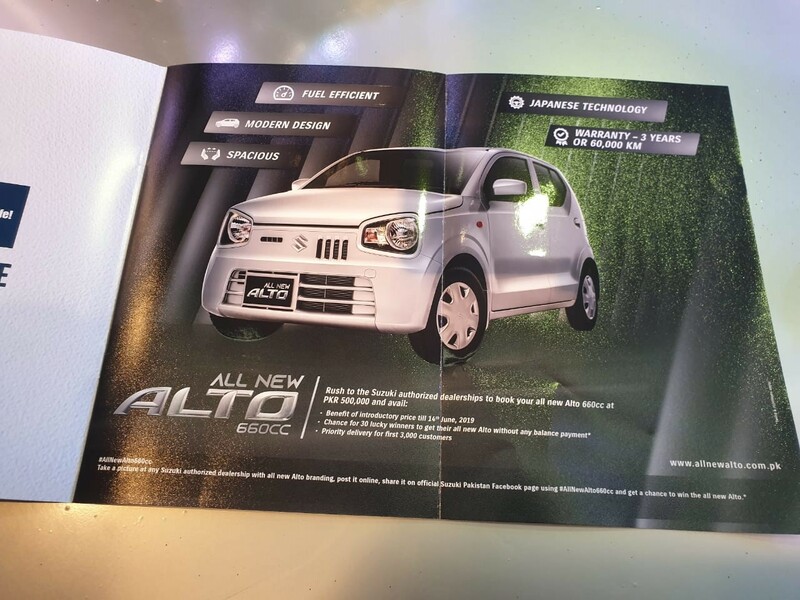 While 8th generation Suzuki Alto 2019 has been displayed in Pakistan, the 9th generation of the 660cc hatchback is likely to be launched during October 2019 in Japan. Suzuki Alto was first introduced in Japan in October 1979. The 8th generation of Suzuki Alto made its debut worldwide in 2014. The Japanese auto-giant will mark the 40th anniversary of this particular model at the launch of the 9th generation later this year. The Japanese version of Alto comes with features like airbags, heated-seat, infotainment systems, upgraded upholstery, and safety-wise they have cruise controls, parking assistance, collision warning; however, the Pakistani variants may not offer the same high-end features. The list of specs and features in Japanese Alto include: turbo technology, anti-lock braking system (ABS), airbags, Traction Control and Radar Brake Support/Assist, heat-absorbing green glass with UV cut function, retractable mirrors, privacy glass (rear and back), rear wiper, crystal headlights, digital climate control, and heated front seats. Stay with PakWheels to know bigger and better news from PAPS 2019. Im sure these dumbasses mean "Booking starting from 500,000"
The " Barking " News! The Sub Kuch "OLTA" is here. Japani technology with Pakistani Tarka.. Your future car is here and God knows till what future it will remain..seems will remain for another long future. This is not the biggest reveal of the year, it is the bigger news than the black hole news we got the other day. 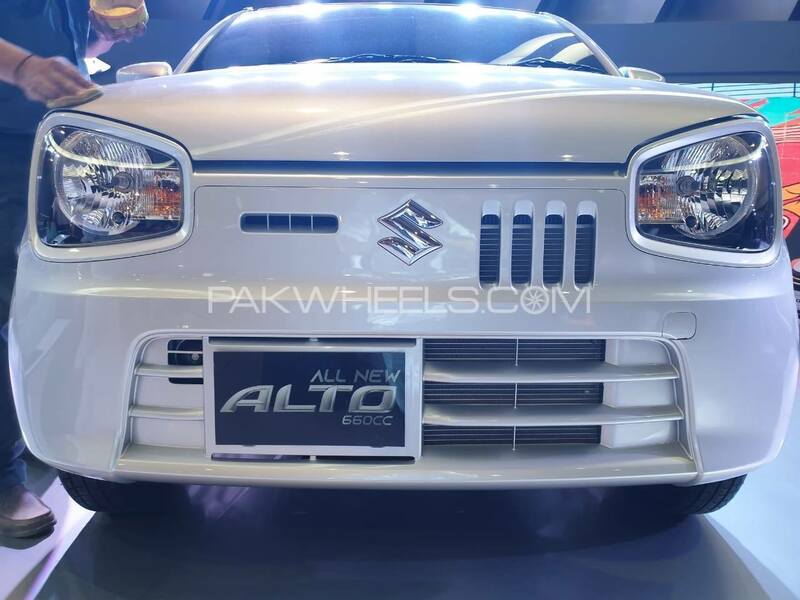 Pak-Suzuki started booking of this "SHAHKAR" with an advance of half a million Pakistani Rupee [ 500,000/- ] but didn't officially reveal the specifications and final retail price of each variant. What type of product reveal/ launch was this ? Where in world this happens you start booking a vehicle before even showing everything to the customer and releasing the price tag. Complete nonsense and unethical and basically exploiting the genuine consumer. OH! I forgot it stands in same class as super exclusive Ferrari's , McLarens, Bugatti's and other super-cars which are sold out before even public reveal. But keep in mind, those exclusive limited versions are still shown to prospective selected buyers at an undisclosed parties. The official reveal in public in such case is only to tell rest of the world that this is what we made and its already sold. While its completely buyers own discretion and no matter he/she buys donkey in name of an ALTO, but at least the donkey should be standing leashed at a dealership.. Lets buyers see all the features of donkey and then let him decide what donkey he needs or if even he needs it. If you test 10 different trousers just to buy a 1000 rupee trouser then why buying a vehicle without even looking that too an item worth million and on top of that your all time savings ? No matter its Suzuki, Toyota or Honda, this phenomena further fuel the illegal and immoral practice of premium/ OWN money. These illegal mafias involved in premium business which includes these dealers/stealers will buy cars in and later sell it over premiums. Taking money from genuine buyers as advance and then selling it on premium after receiving vehicles is complete dishonesty. It is a BLACKMAILING , and dirty tactics. This flood of booking by using slogan " pehlay aeay pehlay paey" is all to create intentional backlog and back-order scenario. 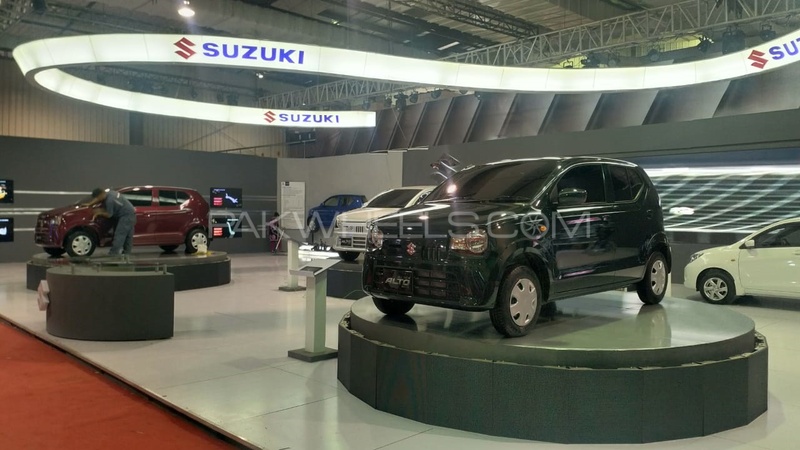 Suzuki should have displayed the vehicle along with a firm price in big and bold letters, and let buyers decide after seeing the vehicle if the want it or not. "First Come First Serve" terms is not more than fraudulent practice. Now lets go back to the reveal. After blessing us or I would say forced Mehran on us for over 30 years, Pak Suzuki at last became meherban on all of us and killed the legendary model by dis continuing the production. Pak-Suzuki is very KIND enough and should have 21 guns salute for introducing this vehicle after almost 5 years. 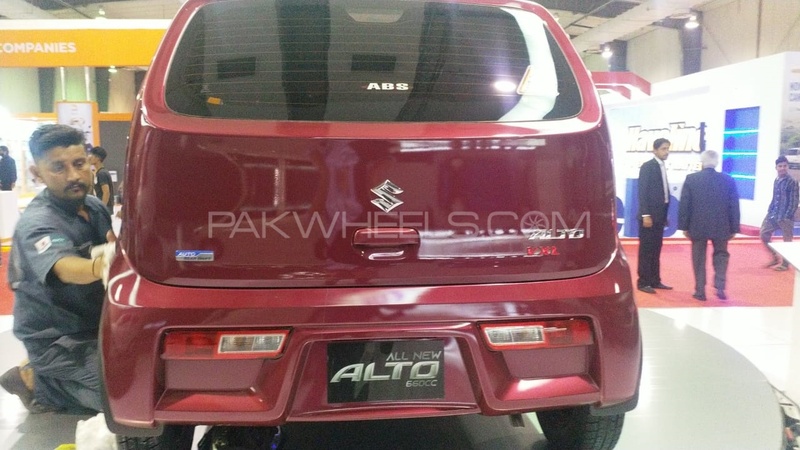 This Alto, which is 8th generation came back in 2014 outside Pakistan market which means Pak Suzuki again bringing a model which is very near its replacement internationally. 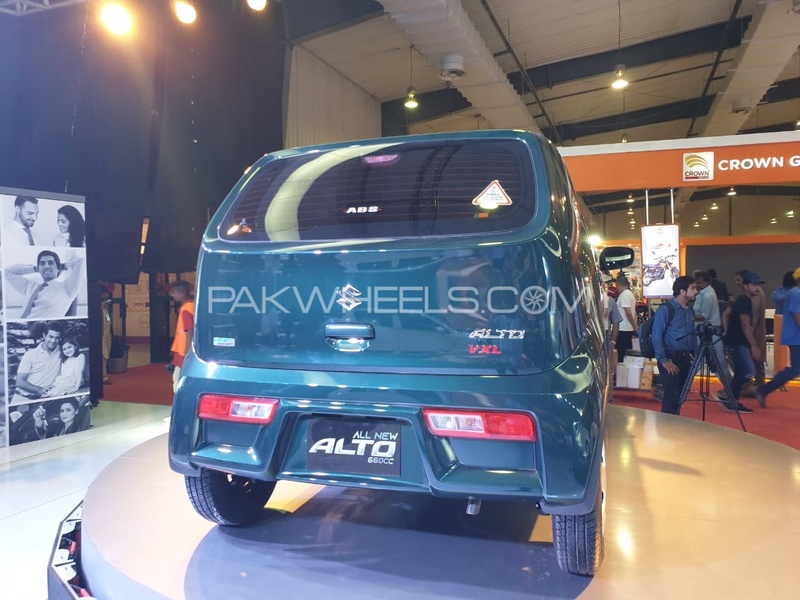 So, we will start enjoying an older Alto w.r.t to other markets maybe in a year time and will keep on seeing this for how many years, God knows. History of Suzuki is not very bright in this regard. 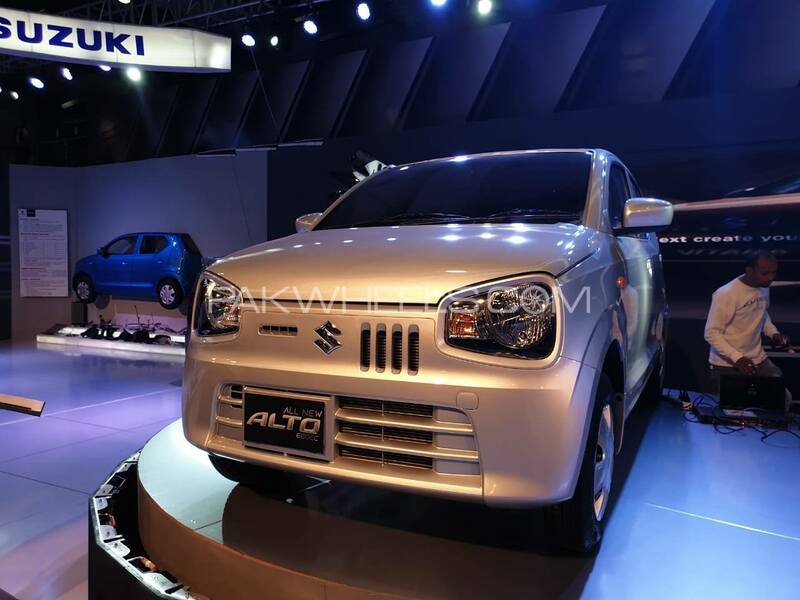 The Alto is with a R60A 660cc engine and no turbo model. This engine is rated at 54hp. Front Wheel Drive only. On Japanese fuel economy cycle, this engine is rated at 37km/ L.
Base price is rumored to start at PKR-950,000/-. while VXL AGS is expected to be near 1.2 Million. Means a VXL on the road price might be near 1.3Million. Exact prices not known. VXL/ AGS [ a cheap way of making transmission act as automatic ]. 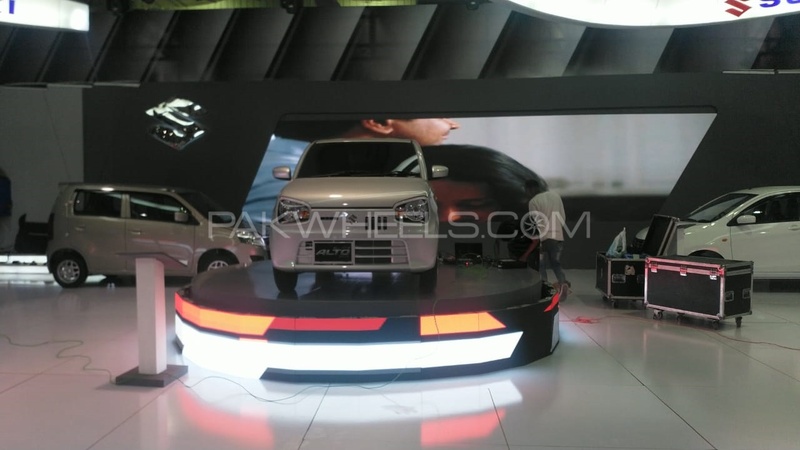 The Suzuki Alto VXR variant will have AC, but other specs and features have not been confirmed. We can assume NO power steering and NO ABS. Maybe you need to use your own Power to push up and down windows. 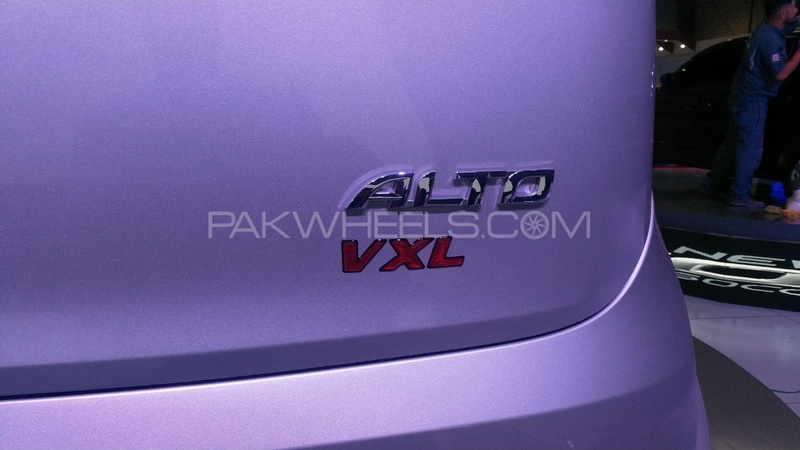 Alto VX will come with a feature named as "WITHOUT". This package includes NO AC, NO Power Steering & NO Power Windows. You dont need AC because Suzuki is green company and they want you love / feel and experience the environment. It looks like more of a SAZGAR Rickshaw with a 4th wheel on front. 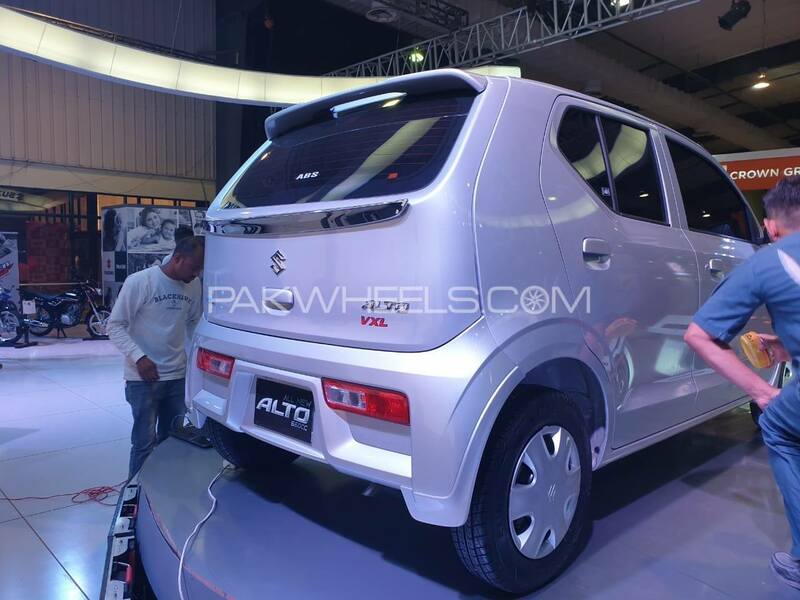 Rest assure a PK domestic model Alto will be much less equipped, features when compared with the JDM imported units already available as second hand used vehicles in the market. Why ABS is an option which is standard required equipment all across the globe. same goes for airbags. Why safety is an option and @ cost. You could not even put a rear screen wiper, or even change the design of the wheels caps and just picked up from the lovey dovey WagonR. Asking for extra stuff is like criminal. Same below average quality is expected for fit and finish/ built quality in general. I am not very much optimistic about it and reason being that the biggest reveal of the year have a hatch spoiler/ Chamak-Patti not properly aligned. I mean dear Suzuki, at least make it look proper on the day of launch. Treat is like a bride on the day of wedding. But you know what, I dont blame you. You got this virus from the the other two big brothers [ H & T ]. As per currently available photos, some panels gaps are visible from as far as black hole. Let's see what quality of built, fit and finish as well as features and equipment/ safety we see in this new Alto. I am feeling hopeless and fear nothing much will change as far as how we get PKDM cars and especially from Suzuki. Please ! Please prove me wrong. I really want to publicly apologize to you on this if I am wrong. Lets see when you remove these tinted windows. I have been reading that Pak Suzuki started production with 50% localized parts and this is your main defense of having much higher expected price. Well, so who is at fault? You have been selling Mehran for 30 years and made enough money by selling a crap as always. Why you didn't start developing parts for this ALTO in 2015, 16 or 17. What so special in it and how difficult it was especially if you have been making profits year after year. You actually never bothered replacing Mehran. If you had been a real honest and genuine car maker, you would have introduced this ALTO few years ago. The profits are not spent towards developing local parts industry, improving assembly procedures and assembly lines , producing upto date products.. examples we still have older generation of Swift and thanks we just got free from everlasting previous yummy Cutlus. Anyways, now the spaceship has landed and we need to see how the aliens look inside. The overall quality of built is yet to be seen. Many people were of the opinion that I am paid agent of Suzuki. First decide if I am paid Toyota, Honda or Suzuki agent. While this mafia is all responsible but you as buyer are part of problem too.. Don't pay premiums and don't fuel this blackmailing and unethical business practice. Rest its your choice you can buy a donkey or rickshaw in the name of ALTO and live happily ever after. Good Luck to genuine buyers.. And good luck to me as by making this post; I have done an automotive blasphemy.. Still dumbasses, no different from before. Waiting for gap experts and alignment judges so much worried for Chinese cars. If they keep price of high end variant about 12 lakh then they are definitely going to increase the price of Wagon R again. 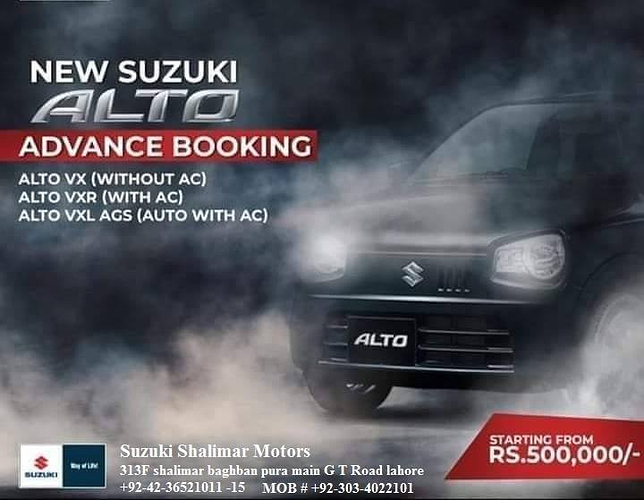 Suzuki is really looting people of Pakistan in the name of "resale". I waited for this ALTO to be released but now deciding to buy FAW V2.